Assistant District Attorney James Quinn questioned the connection between the three years Bronx teen Kalief Browder spent on Rikers pretrial, and his subsequent suicide. In a heated debate last week over whether New York City should close Rikers Island, Queens Assistant District Attorney James Quinn sparred with City Council Member Rory Lancman, chairperson of the council’s Committee on the Justice System, who could become Quinn’s boss in next year’s election for Queens DA. The debate highlighted the tensions between Lancman, a self-professed reformer, and an office that has been notably slow to reform. 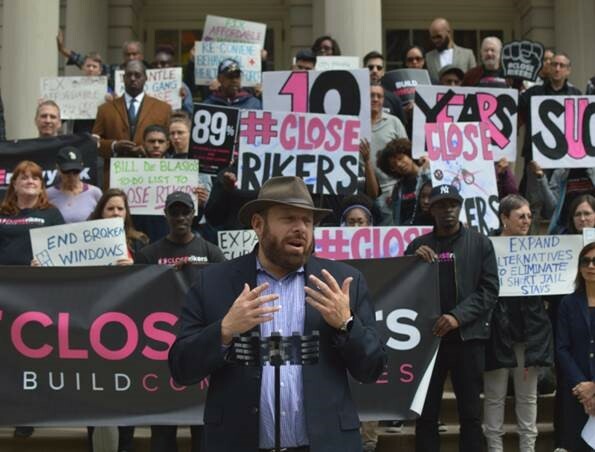 Led by an 85-year-old incumbent who has been in power for nearly three decades, the Queens district attorney’s office is one of only two in the city (Staten Island’s is the other) that publicly opposes the slow-moving closure of Rikers. Some advocates have also questioned the plan, which aims to reduce the jail population while increasing the number of jails. Lancman also criticized the Queens DA’s office for its failure to approve a conviction review unit, as the other four boroughs have done, and for its controversial plea deal practices. Under that system, Lancman argued, defendants charged with felonies are coerced into waiving their speedy trial rights. But perhaps the most contentious moment of the night came when Quinn lashed out at the anti-mass incarceration movement, taking aim at the national outcry that followed the death of Kalief Browder, a Bronx teenager who spent three years in jail without trial for an alleged theft of a backpack. While in Rikers, Browder endured beatings by guards and inmates and roughly two years of solitary confinement. In solitary, Browder attempted suicide once. After being released, Browder told The New Yorker, “I’m not all right. I’m messed up.” Six months after getting out, he tried again. Two years later, the 22-year-old took his life. Quinn was loudly applauded for these comments during the debate, which took place in Kew Gardens Hills, a majority white neighborhood in Queens. In his retelling of Browder’s case, Quinn also asserted that Browder had been held on a high bail because he “went out and committed another robbery,” violating his probation for a previous incident. In fact, Browder spent three years in jail denying that he committed that robbery, and he was released in year 2013 when the charges were dropped. The Queens district attorney’s office did not respond by press time to The Appeal’s queries about Quinn’s explanation and evidence for these comments.